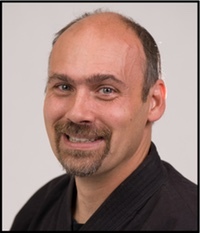 The most widely known of the martial arts. You’ll develop power and focus while learning how to punch, kick, and block. 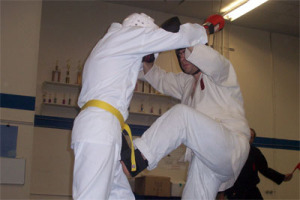 Sparring exercises are also offered, and tournament participation is up to the individual student. Our class starts with basic punching and kicking drills. 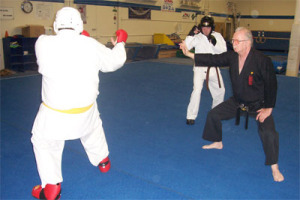 Students will learn the proper technique for both punches and kicks to avoid injuries. We then move on to the practice of kata (series of movements in a set pattern). 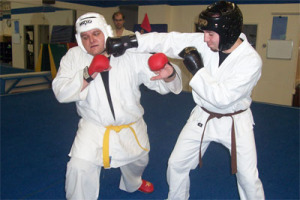 Kata simulate the blocks, punches and kicks that might be used in an actual fight. 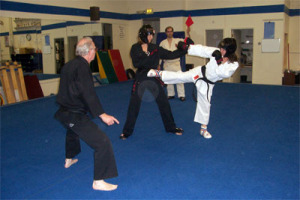 Class often includes two-person drills with attacks and defenses, and sparring. Some weapons kata are also taught. This class provides excellent strength, flexibility, balance and benefits. It is also a very good cardio workout. Come ready to work hard! 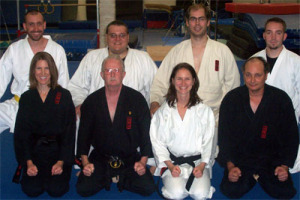 CLASSES ARE HELD ON THURSDAYS FROM 7:30PM TO 9:30PM.